방탄소년단 FESTA 2016 | Group 사진 Album. . HD Wallpaper and background images in the 방탄소년단 club tagged: bts bangtan boys group festa bts festa bts festa 2016 photo album jin suga j-hope rap monster jimin v jungkook. 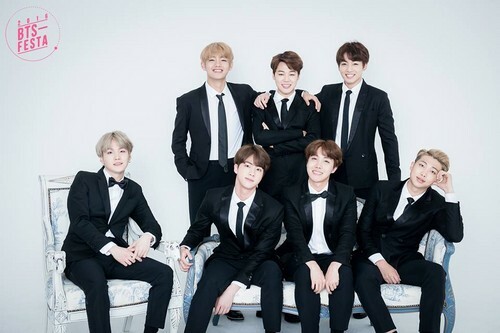 This 방탄소년단 photo contains 신사복, 비즈니스 정장, 옷 한 벌, 한 벌, 옷, 양복, 정장, 두 조각, 두 조각 정장, 라운지 정장, 2 피스, 2 피스 슈트, 라운지 슈트, and 2 조각.